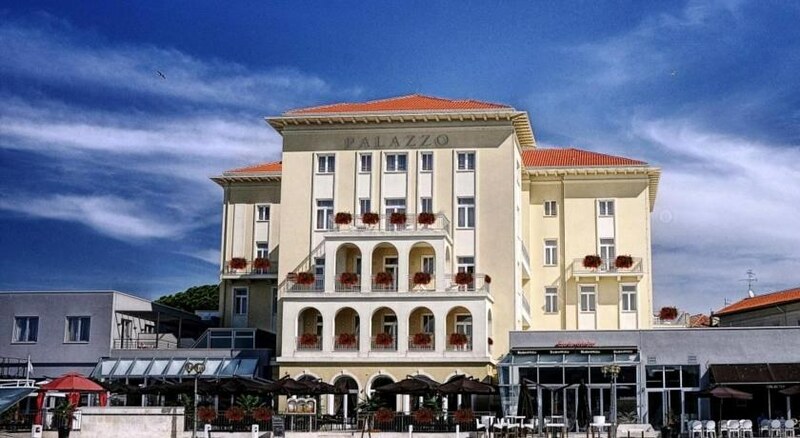 Reopened in 2009 after extensive renovations, the legendary Grand Hotel Palazzo boasts a privileged position on a promontory directly on the port of PoreÄ, surrounded by the deep blue waters of the Adriatic Sea. The quaint streets of the old town with its historic buildings and the Euphrasian Basilica, a UNESCO World Heritage Site, are just a few metres away. A large variety of cafÃ©s, bars and shops can be found in the vicinity.The hotel seamlessly blends historic architecture, elegant interior design and sophisticated modern amenities. 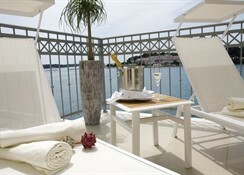 All of the beautifully appointed rooms have marvellous views over the sea or the picturesque city and feature free WIFI, air-conditioning and a flat-screen TV. 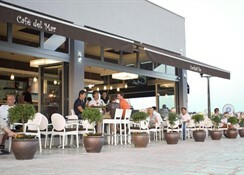 The fine restaurant serves traditional Istrian dishes, and guests can sip on a cocktail on the sea view terrace of the CafÃ© del Mar. A first-class spa & wellness centre spoils every guest. 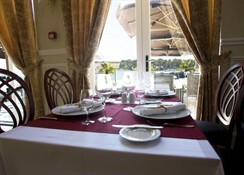 This hotel is the perfect place for a stay in Istria, the pearl of the Adriatic.